If your VM is broken to boot somehow, I suggest you try to export this VM and then import it again. However, if unfortunately it still fails, here is the final recovery method you can take a shot. 1. 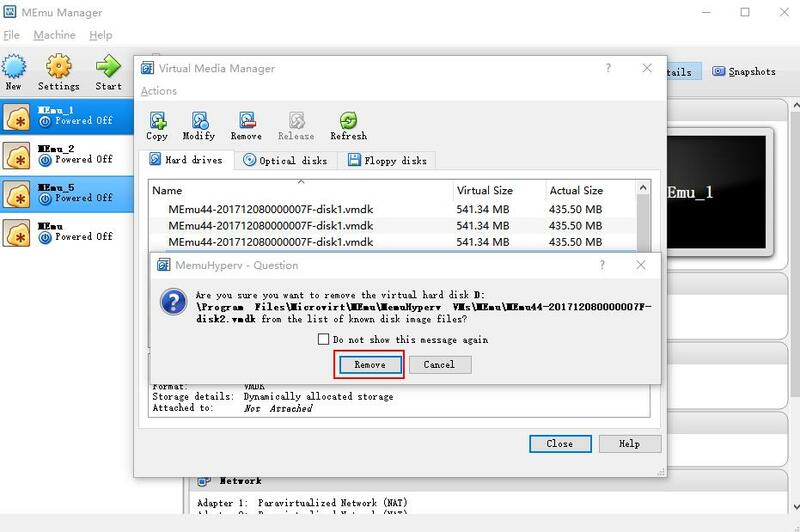 You need to download MEmuHyperv tool first. There are two versions, 32-bit and 64-bit, which depends on your Operation System. 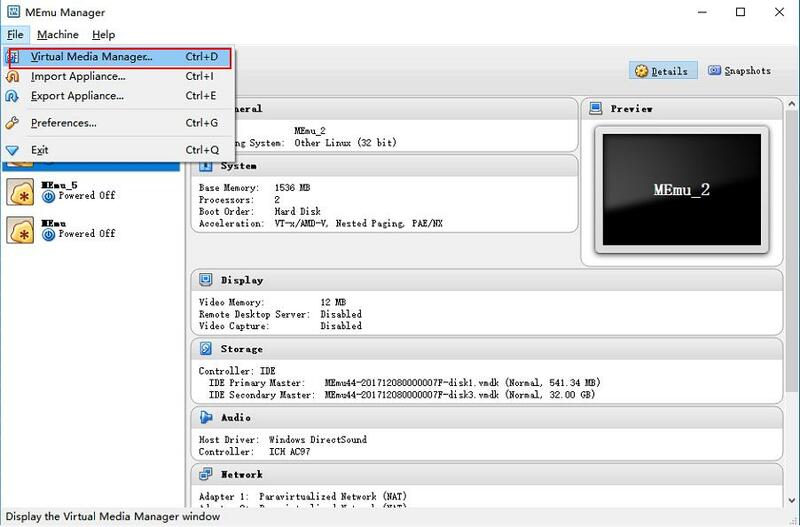 If you have no idea which is suitable, Click Control Panel> System and Security > System and check it out. 2. 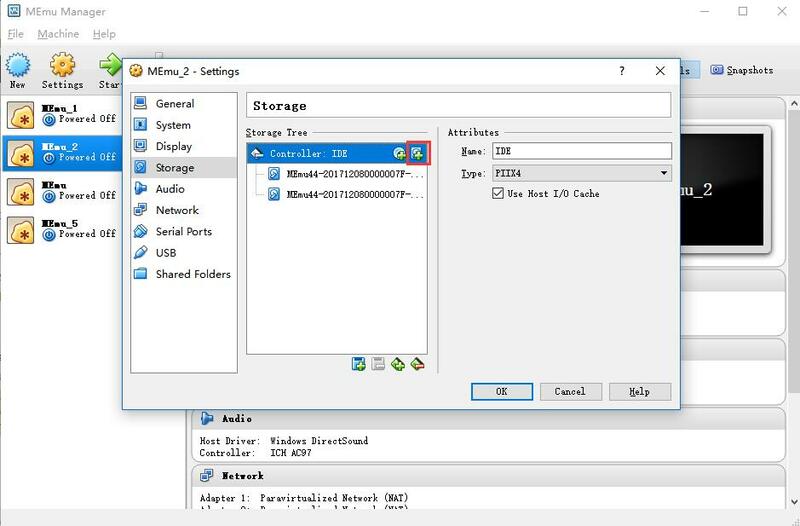 Download and extract MEmuHyperv files into MEmuHyperv directory, which depends on your MEmu installation path. 3. 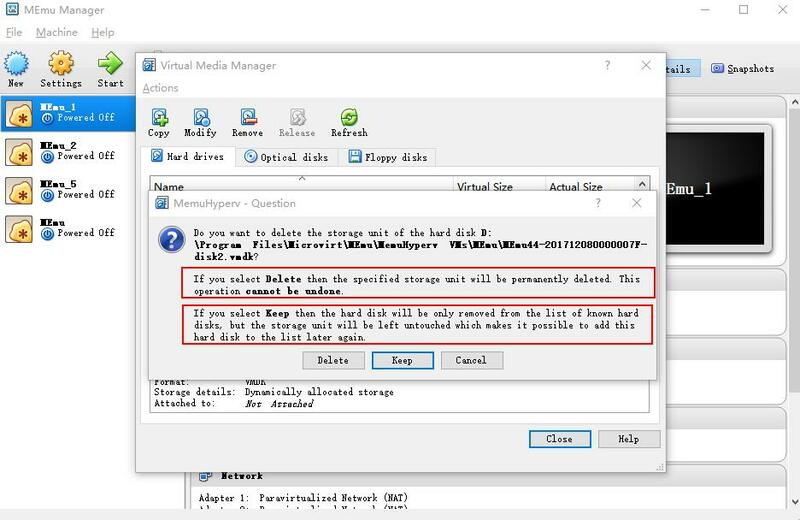 Run MemuHyperv.exe as Admin. Please make sure all MEmu processes are closed in Task Manager. Let’s take an example. MEmu_1 is broken and MEmu_2 is good. 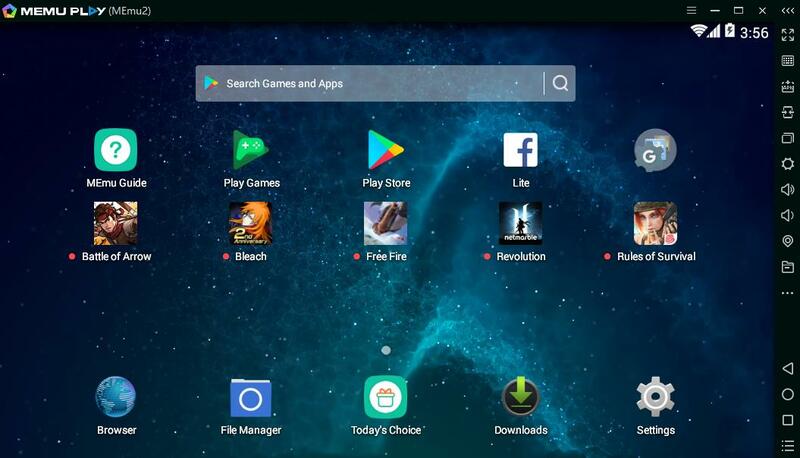 We will guide you how to recover your data in MEmu_1 and attach to MEmu_2. 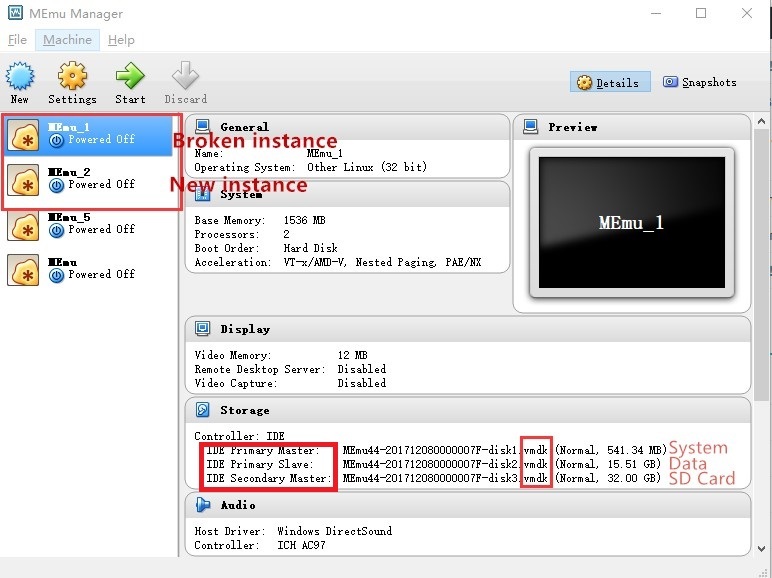 In the MEmu Manager, every instance(VM) have three partitions: Primary Master is system volume, Primary Slave is data volume, Secondary Master is SD Card. (Remember the file name, but don’t get mislead by disk1, disk2 and disk3, sometimes it’s randomly ordered). 5. Repeat the same operation to MEmu_2(Good). 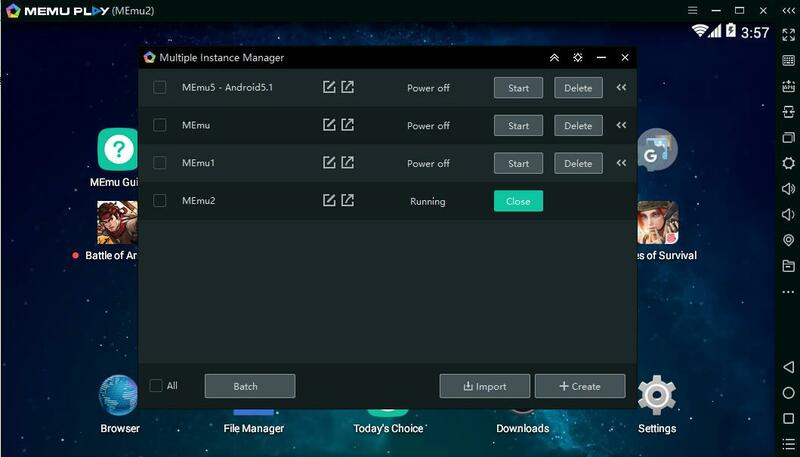 Remove Attachment Primary Slave Storage from MEmu_2. 6. 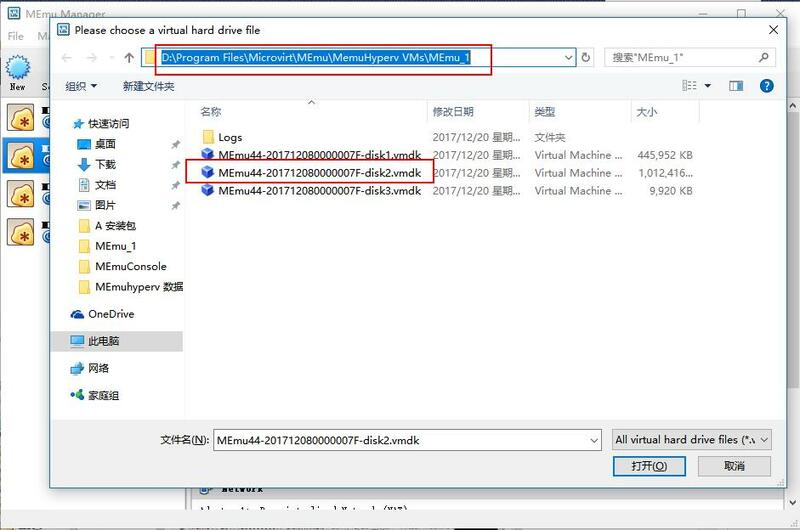 Click File and Enter into Virtual Media Manager, find Primary Slave Storage VMfiles of MEmu_1 and MEmu_2, which are both not attached, then remove but keep the two files (NOT delete). 7. Find the directory of MEmu_1 and MEmu_2, which depends on your installation path. 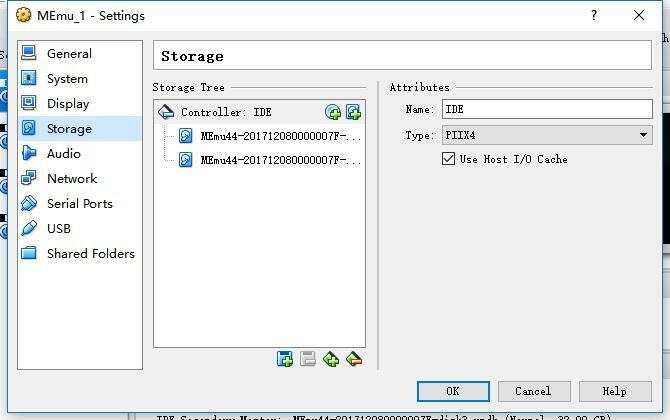 Copy the Primary Slave Storage VMfile from MEmu_1 to MEmu_2 folder. 8. 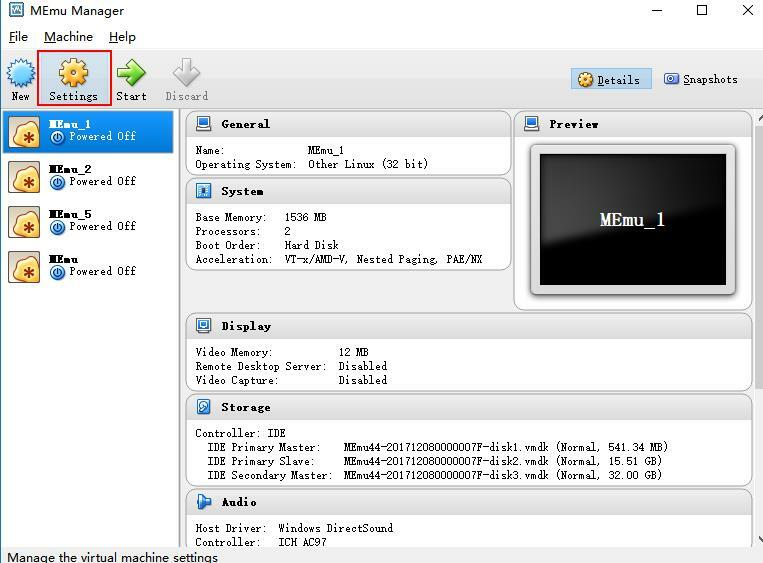 Enter into MEmu_2(Good) Settings and Choose Storage. 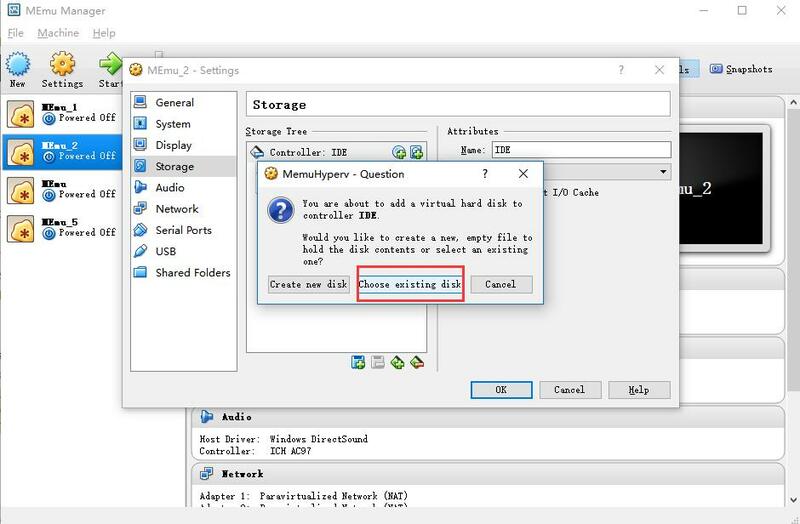 Click the circled button to add Hard Disk, then Click choose existing disk, find the MEmu_1(Broken) directory, choose the Primary Slave Storage vmdk file (your original data volume) to add. 9. 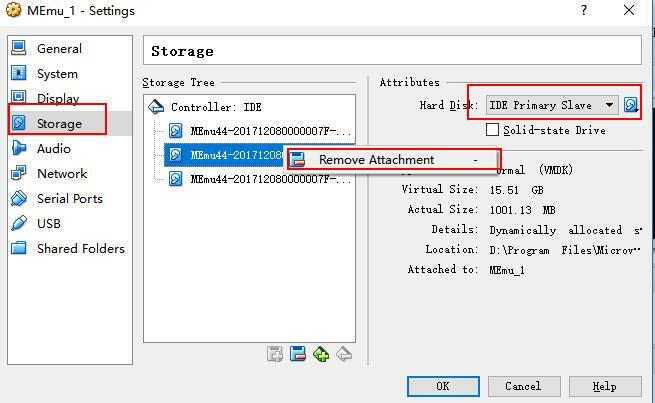 Now you have inserted your data volume into a good/new VM. 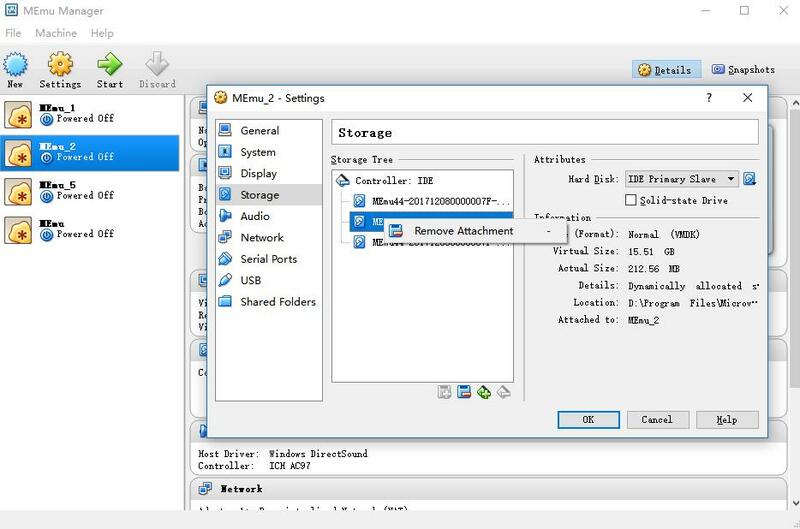 Suggest you do the same thing to the Secondary Master Storage (SD Card Volume) if you have data on it.